Product prices and availability are accurate as of 2019-04-23 03:01:32 UTC and are subject to change. Any price and availability information displayed on http://www.amazon.com/ at the time of purchase will apply to the purchase of this product. The beloved New York Times bestselling picture book about pursuing one’s passion with persistence and learning to celebrate each failure on the road to achieving one’s dreams. 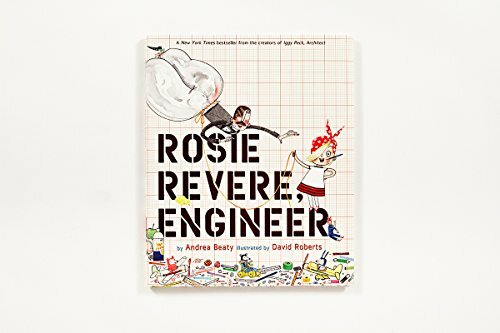 And now you can follow Rosie’s further adventures—with her friends Iggy Peck and Ada Twist—in the instant New York Times bestseller Rosie Revere and the Raucous Riveters, the first in a BRAND-NEW chapter book series, The Questioneers! Rosie Revere dreamed of becoming a great engineer. Where some people see rubbish, Rosie sees inspiration. 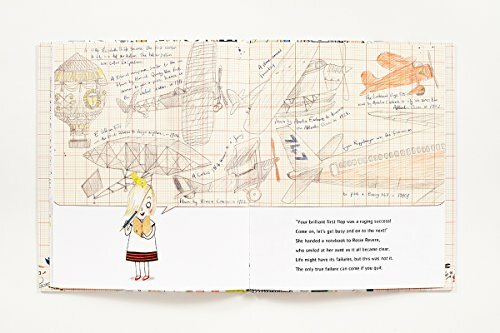 Alone in her room at night, shy Rosie constructs great inventions from odds and ends. Hot dog dispensers, helium pants, python-repelling cheese hats: Rosie’s gizmos would astound—if she ever let anyone see them. Afraid of failure, she hides them away under her bed. Until a fateful visit from her great-great-aunt Rose (AKA Rosie the Riveter! ), who shows her that the first flop isn’t something to fear—it’s something to celebrate. And you can only truly fail, if you quit. Collect them all! 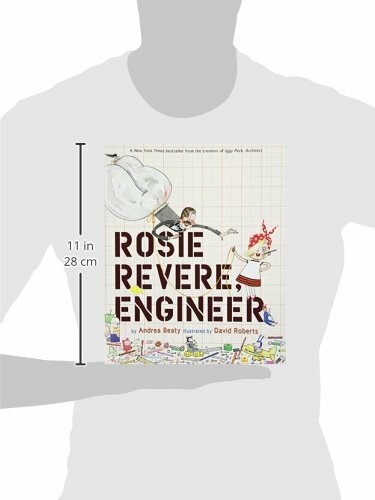 Add these other STEM favorites from #1 New York Times bestselling team Andrea Beaty and David Roberts to your family library today! 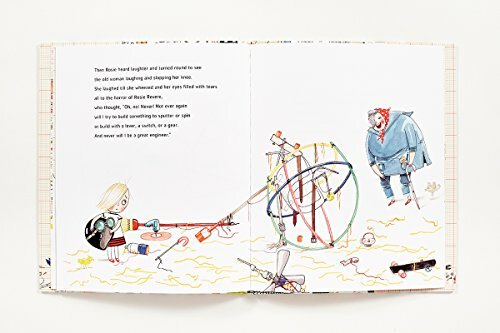 "Comically detailed mixed-media illustrations that keep the mood light and emphasize Rosie’s creativity at every turn." 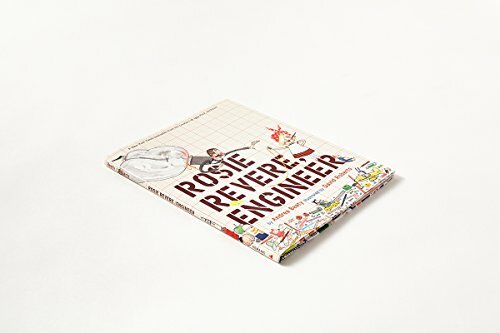 "The detritus of Rosie’s collections is fascinating, from broken dolls and stuffed animals to nails, tools, pencils, old lamps and possibly an erector set. And cheddar-cheese spray." 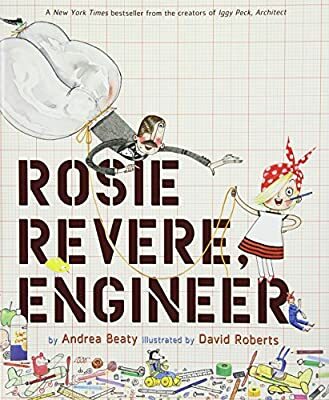 "This celebration of creativity and perseverance is told through rhyming text, which gives momentum and steady pacing to a story, consistent with the celebration of its heroine, Rosie. She’s an imaginative thinker who hides her light under a bushel (well, really, the bed) after being laughed at for one of her inventions."